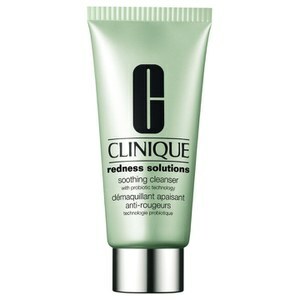 Combat unwanted flushing with Clinique Redness Solutions Makeup SPF15, a colour correcting foundation that works to counteract blushing, flushing and uneven skin tone. 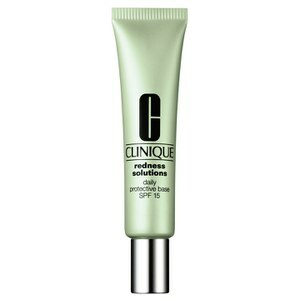 Helping to conceal and camouflage redness on the complexion, this soothing foundation with broad spectrum SPF 15 not only evens out your skin tone, but its probiotic technology strengthens the skin's barrier whilst UV protection shields from environmental aggressors. - K.N. Shake bottle well. 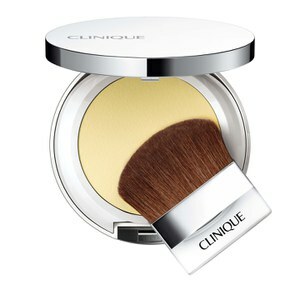 Squeeze a few drops of foundation onto the back of your clean hand. 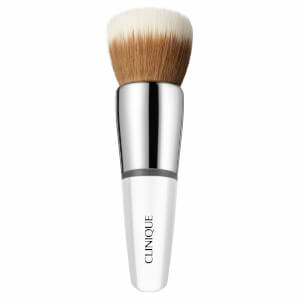 With Foundation Brush or clean fingertips, smooth makeup into skin, starting in centre of face, blending out toward hairline and jawline.